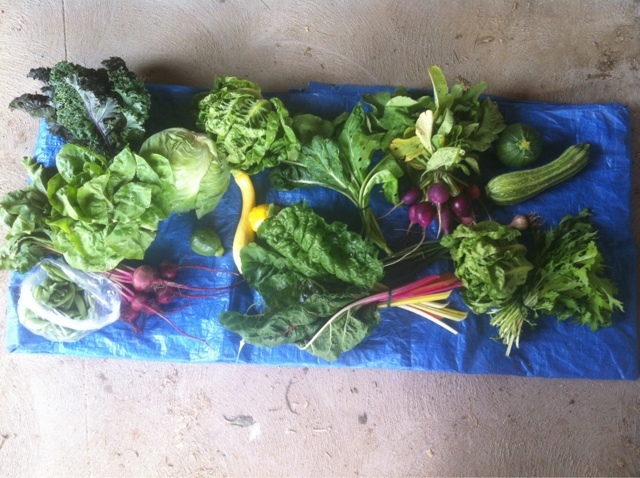 We are just completing week for if our CSA today and we are really happy with the product we have so far. Top favorites seem to be beets, cabbage and our buttercrunch lettuce. We look forward to adding more veggies to the mix as the season goes on coming up soon will be beans, tomatoes, tomatillos, and so much more. 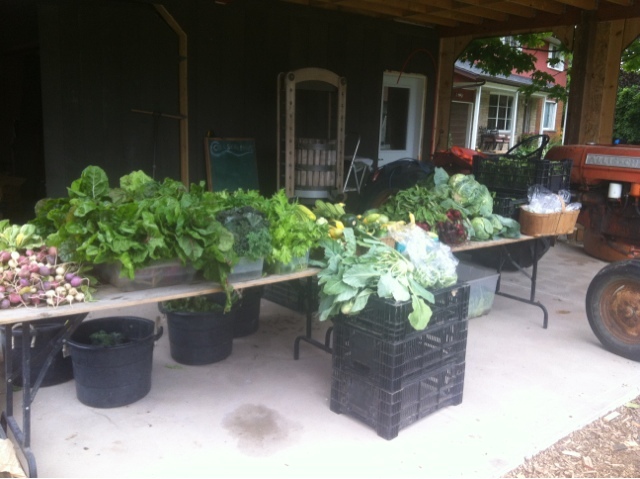 This weeks csa all set up for the people who pick up at the farm. We also offer home delivery which goes out Thursday through Saturday depending in where people live. The above photo shows our full share for this week. Included was kale , cabbage, lettuce, beets, snap peas, summer squash, mizuna, vitiman green, rainbow chard, radishes and green garlic.